Designed for luxury, comfort and taking passengers out on the Atlantic Ocean to experience the unique opportunity of seeing these aquatic mammals in their own natural habitat. 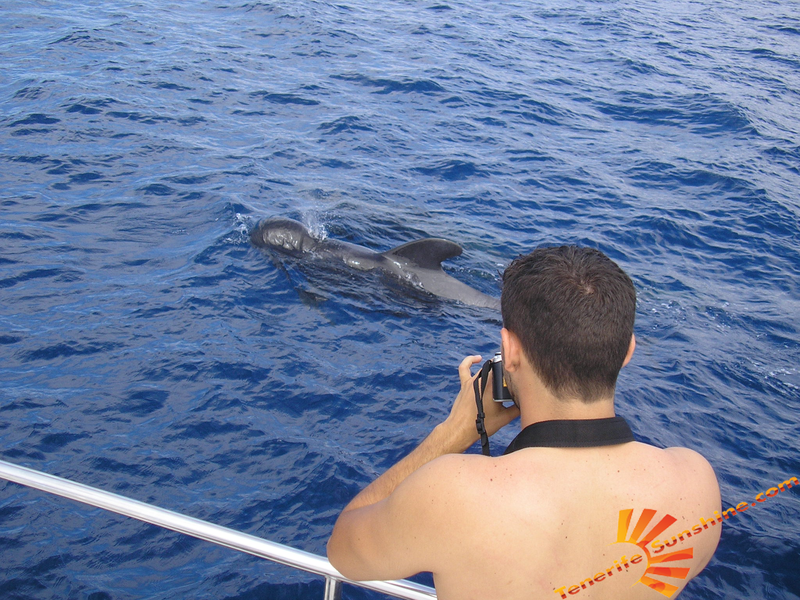 After spending some time whale and dolphin watching, we will sail up the south-west of Tenerife where you can take some scenic shots of this part of the island, as well as Mount Teide.. You can take time to really enjoy the true grandeur of the Catamaran to just relax, chill in the sun, and keep working that tan, the netting area at the front of the catamaran is the ideal place for that. You can enjoy the free bar and sandwiches included in the price! 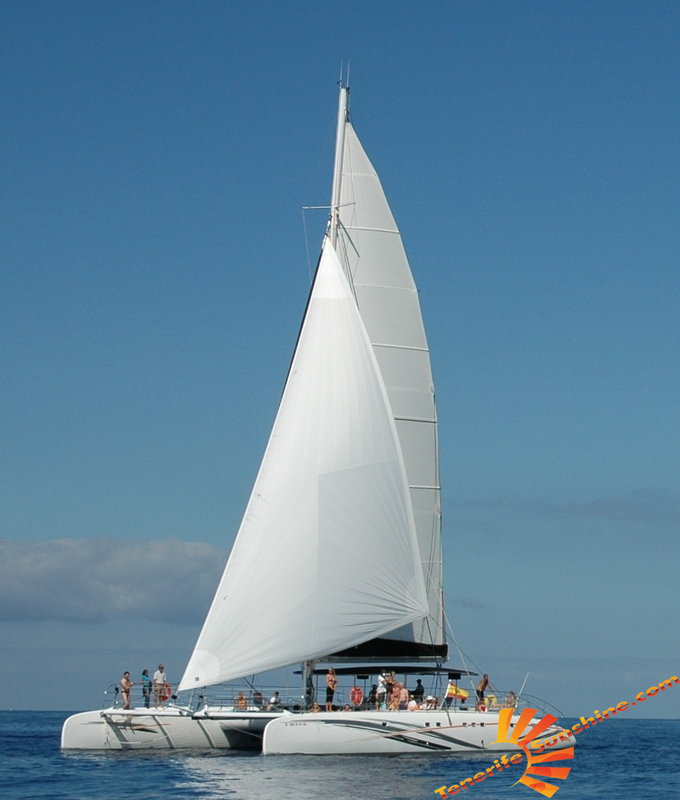 During summer months, this sailing takes place aboard the Freebird One catamaran. Netting at the front of the catamaran accomodates only four persons.